LED motion activated closet provides occasional lighting for closets and utility spaces. Do you have an area that can't be reached with an electrical circuit? Then this might be the product that could give you light for in the area in that type of situation. It's for those places where you want light but don't want to run any new electrical wires. You could use these in multiple places or as some kind of emergency lighting because these run off batteries only. The sensor will turn on when motion is detected and stay on for 8 seconds and then go off if there is no other motion. It has an ambient light sensor so that if light is sufficient in the area it won't even come on.it operates on 3 AAA batteries and they should last for a year or longer depending on your usage. You could use these in many places where you want to get light and have motion be detected and the lights coming on. It could add another level of security to your home or business location depending on how you use it. 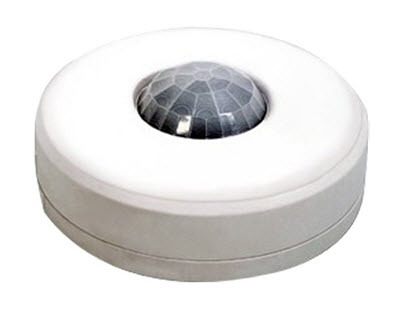 - Provides energy saving motion activated lighting when needed. - Mount inside closet, cabinet, hallway or stairwell. - 3 AAA batteries included. - Turns on when motion detected - off 8 seconds after no motion detection. - Senses ambient light level - will not turn on if ambient light is sufficient. - 10FT Motion Detection Range. - Mounts via adhesive mounting plate/screws.